There is nothing sweeter than playoffs in Peterborough. With the post-season comes an increase in speed and physicality on the ice where series wins are determined by which roster is prepared to bring more grit. 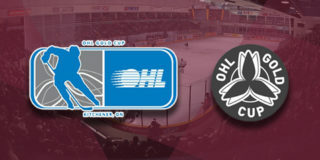 The Petes will soon face their rivals, the Oshawa Generals, in the first round as the sixth seed, a position they’ve been in before (and have come out on top). 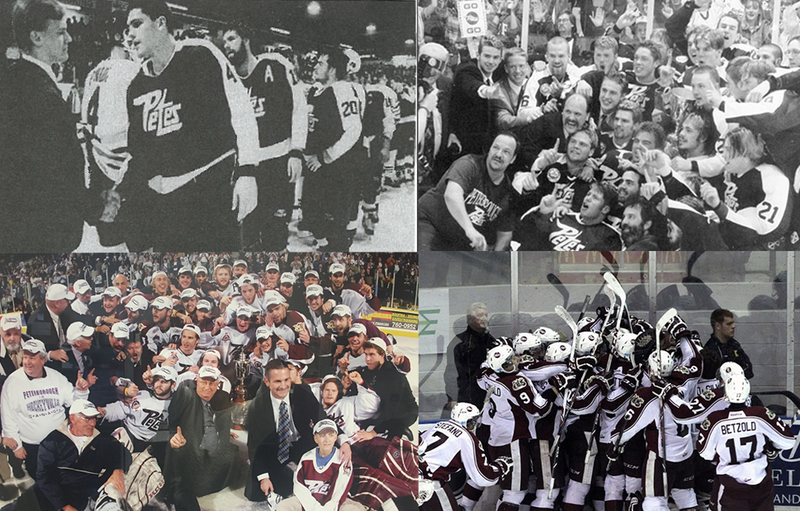 Petes history has largely been defined by the club’s performance in playoffs. As the team prepares to hit the ice in what could be one of the most interesting post-season match ups, we reflected on some of the maroon and white’s memorable pushes to the Memorial Cup. The Petes 1988-89 roster produced some of the club’s most hockey-successful alumni like Mike Ricci and Tie Domi. 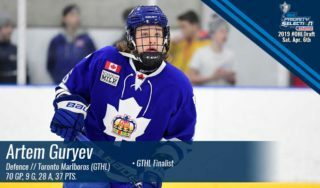 The group earned their way to the final series of the J. Ross Robertson Cup, facing a team whose regular season record mirrored that of their own, the Niagara Thunder. The teams were within one win of each other in the regular season. The Thunder were under the leadership of legendary OHL coach Bill LaForge, who built a reputation around the league for his unorthodox coaching practices and antics beyond the bench. “They were a heavily favoured team, they were supposed to win, they were a stacked team with first rounders. They had talented offensive and defensive players. They had top players in all areas, and they were also very tough, and that was a time when toughness was important in a game and they had it all. They were probably supposed to be favourite to win that series, but we weren’t intimated by their physicality and we stuck to the game plan,” explained Petes alumnus and current head coach Rob Wilson. Although the initial game at the PMC brought in a small crowd, the Petes opened the series with a 3-1 win. The series would go back and forth with each team grabbing a win every other game until game six when the Petes finally tallied two wins in a row and became J. Ross Robertson Cup champions. In the final series of the 2006 OHL playoffs, there was not a more equal match up of on-ice talent growing from contrasting hockey markets than the London Knights and Peterborough Petes. 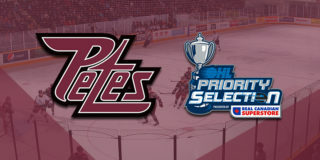 The Petes, whose fan base prides themselves on their blue collar roots and hockey knowledge, finished the regular season with a 47-16-0-5 record and the Knights, born from a city with four times the population of Peterborough, and the Hunter dynasty entered playoffs with a (50-14-0-4) record. Game one would take place at the then-John Labatt Centre and see two goals scored by Pete Jordan Staal, putting the maroon and white in the lead until the final three minutes of the game when the Knights scored their fifth of the evening to tie up the game. Petes right winger Patrick Kaleta would score the Petes’ game winner in double over time. Although each game only saw a score difference of a single goal, the Petes swept the series in four games. Beyond earning the J. Ross Robertson Cup, the most noteworthy event to come out of the series was an incident involving Petes forward Steve Downie. “The key thing in that series was Steve Downie, in game two right when the buzzer went. It was a tied game, Steve speared one of the defencemen on London, and the guy went down and there was no penalty,” explained Jeff Twohey. The incident caught the attention of media and Downie would go on to be booed every time he touched the puck during a game in London. The 1996 OHL finals between the Petes and Guelph Storm saw not a single game won at home by either team. The Petes took home their seventh J. Ross Robertson Cup in game seven before hosting the Memorial Cup at home. In addition to the peculiar nature of each team outperforming the other on the road, the fierceness between the Petes and Storm grew as a player from Guelph purposefully shot a puck at the Peterborough bench in game four. The game winning goal was scored by Mike Martone, I remember it went into overtime and I had seen a lot of games over the years, but it was the first time I think, in game seven, I could feel my heart rate. Everything was on the line, we knew we were going to the Memorial Cup anyways because we were hosting it, but they wanted to go into it as champions. I went down to the bench because if the guys won I wanted to be there to celebrate and if they lost I wanted to be there with the guys. I almost blew a gasket when I saw Mike Martone jump on the ice and join the rush and next thing I knew he scored. Who doesn’t love a comeback story? Of the 184 NHL teams only 2.2 % of them have returned to win a playoff series after facing a 3-0 game deficit. In their first round of the 2014 playoffs, that’s precisely what the Petes did. The maroon and white stepped into playoffs as the sixth seed up against the Kingston Frontenacs. The Petes started the series off slow, falling to the Fronts by three goals in game one, one in game two, and two in game three. Traditionally, a series with this type of start is assumed to be a sweep for the team with momentum, however, the Petes refused to feel defeated. “Connor Boland, who was the captain, was doing his interview and he was matter of fact and said, ‘Even though we’re down three games to nothing, the series is a long way from being over,’ and he walked out and left it at that,” explained General Manager Mike Oke. In front of a large crowd at the Peterborough Memorial Centre for game four, Steve Lorentz, Josh MacDonald, and Hunter Garlent scored three goals for the Petes, and although the Fronts pulled the goalie to tie the game up, an empty-netter from MacDonald prevented Kingston from sweeping. 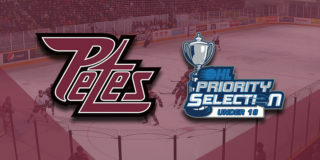 Following another pair of nail biting games the Petes tied the series and returned to the K-Rock Centre for game seven. Sam Bennett of the Frontenacs opened the game’s scoring, however, Hunter Garlent tied it up while on the power play for Peterborough early in the second period. It would be Petes forward Nick Ritchie who closed the series in overtime and added the Petes to a list of anomalies who have come back after three consecutive losses in the playoffs. “I was up in the top level for overtime and I remember there was a broken play off the face off and I can still remember Nick Ritchie looking up [at himself and Andrew Verner] and he giggled and a few seconds later he scored,” described Oke. Playoffs are a beast full of opportunity. It’s a chance for teams to rebound from tough losses in the regular season, and, for fans, the additional bragging rights of their club’s success. The Petes are in a position they’ve been in before, facing Oshawa who finished third in the Eastern Conference but that doesn’t concern coach Wilson. 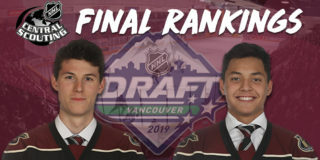 Upsetting the rankings is what playoffs are all about, and that is precisely what the Peterborough Petes are prepared to do.